Savoy’s Cuban #2 is very similar to the Cafe Royal version, except that it specifies 1/2 lime or 1/4 lemon, putting it somewhere in between the two. Lommebogen is, again, too sweet. Seems like tastes in Denmark were to cut back on the sour in recipes to make them sweeter on the whole. I doctored my drink after it was in the glass to add more lemon juice. On the flip side, the Cafe Royal version was a bit tart. I imagine the Savoy #2 would suit me best, finding a better balance of sour and sweet. Both versions I made were OK, but not a drink that I’d come back to. 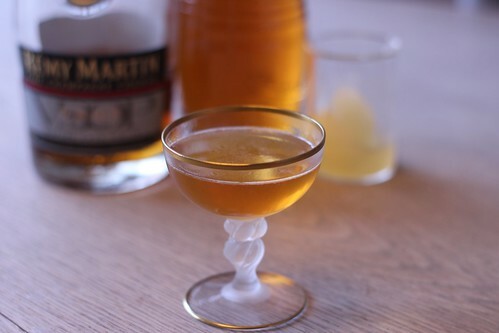 The Savoy #1 is a different beast than the others obviously, using rum instead of cognac. This is kind like a rum-heavy lemon daiquiri, and I love me some classic daiquiri. I used white rum for this, and it was a fine drink, with the light lemon and sugar balancing out well, rounding out the rum nicely. I’d prefer more lemon juice and sugar in there to bring it closer to the proportions of a daiquiri. But, then again, I should probably just make a daiquiri. Mmm, daiquiri.